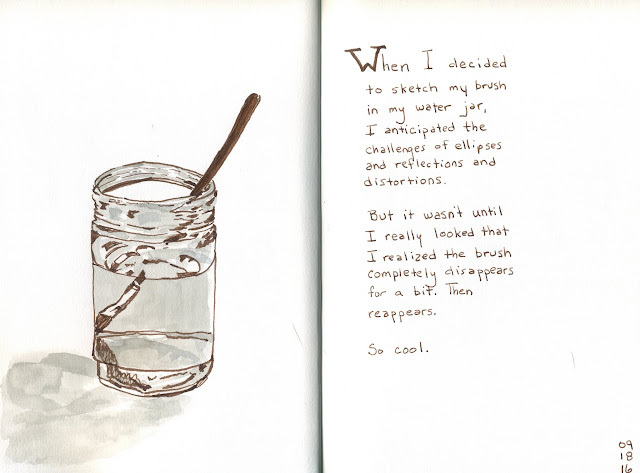 I have never tried to draw an object in a jar of water before. Which means I've never really looked at one before. Still thinking about page design in this double page spread. Still using my new bent nib Hero pen and DeAtramentis brown document ink.